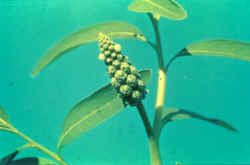 Gooseweed competes with rice for soil nutrients and sunlight. It can lower the yield by up to 50% when left uncontrolled (Rice IPM, 2001). The young plants and leaves are eaten as vegetables. Studies show that the weed is found resistant to 2,4-D on some rice fields in Malaysia, Thailand, and the Philippines (Weed Science, 2005).